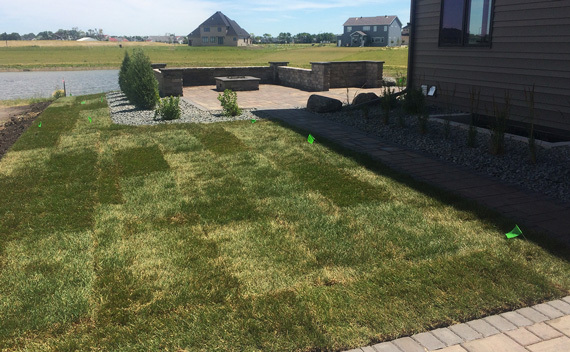 Sodding is a quick method for getting your lawn established. Within weeks you have a ready-to-use yard. It eliminates rutting due to heavy rainfalls and reduces potential weed growth.